A nonprofit organization that supports restorative and social justice programs. The specific purpose of our Foundation is to work with and support San Quentin and the inmates who reside there by ensuring the success and continuation of programs that aim to reduce recidivism and promote successful reintegration. We provide an umbrella of labor and support, reaching “Through the Bars” with assistance from outside for both staff and inmates who participate in these programs. With a passion for helping others, Through the Bars considers our work to be an opportunity to alter society, as we know it. People can change for the better; they simply need the direction, encouragement and knowledge needed to make those changes. We want to give every person, even those who may have been engulfed in a criminal lifestyle, the chance to make a positive impact on their lives and on the lives of those around them. By supporting programs that focus on education through history, music and the arts, we can reduce recidivism of inmates, as well as make a difference in the lives of at-risk youth. Tom Lapinski is a respected music industry professional living in the San Francisco Bay Area. Tom has produced over 2,500 concerts and events throughout California for over four decades. 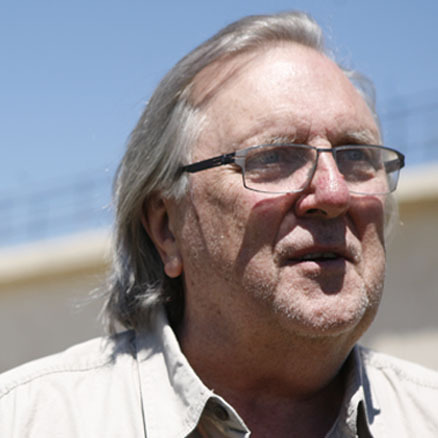 He started producing at Bread & Roses in June of 1977 and by August, he was in San Quentin. He has served as a volunteer in San Quentin State Prison for 35 years. In 1979, he and an inmate started the Freedom Foundation International (DBA Freedom Foundation) to work towards exonerating the wrongly convicted. This was the first organization to address this problem. In 2002, Tom started to bring At-Risk youths from Richmond, CA into San Quentin. He founded Through the Bars Foundation to focus on support for the important inmate programs in San Quentin. 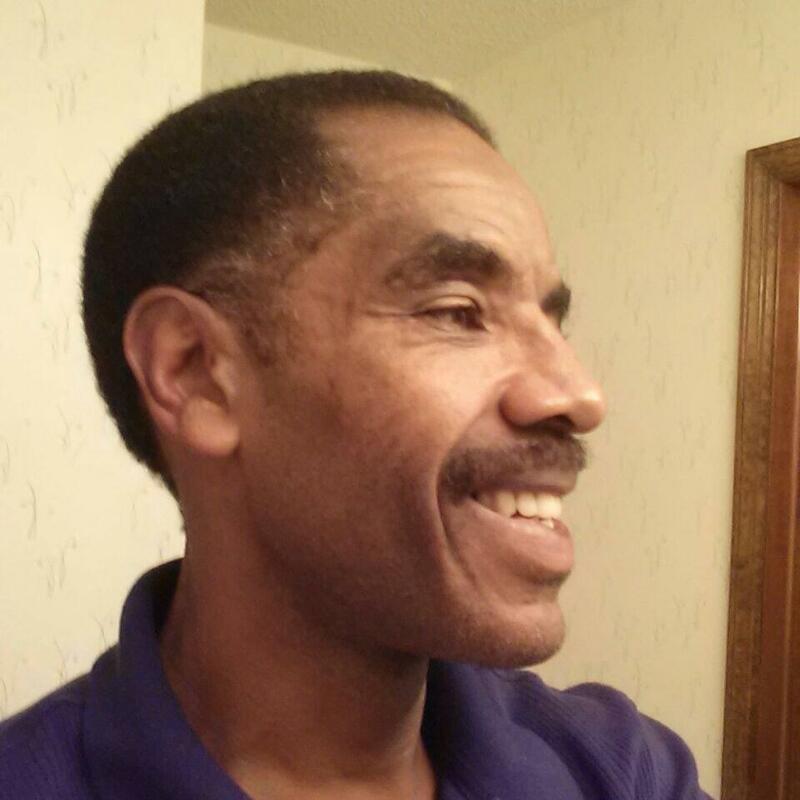 Elmo Chattman, Jr was incarcerated for 33 years within the California State Prison System. During his years at San Quentin, Elmo was a published poet, short story writer and served as a reporter and then editor of the San Quentin News. In 1989, he earned a B.A. degree in Journalism from Antioch University, becoming one of the first three inmates to earn an undergraduate degree while incarcerated in San Quentin State Prison in its 137-year history. Trent Lapinski is a technology executive, former CEO startup founder, and tech journalist with experience in marketing, product development, and corporate development. 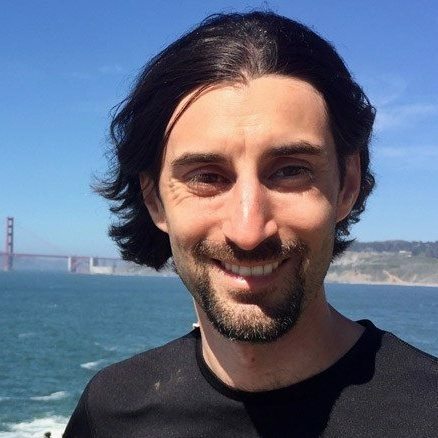 Trent made his impact on Silicon Valley at a young age, building and selling tech startups throughout his teens and twenties, now in his thirties Trent is firmly situated at the tip of San Francisco’s tech spearhead. Once a maximum-security facility and considered the most notorious prison in the country, San Quentin Prison is today regarded as “the best place to serve time” by inmates because of the programs and opportunities for self-betterment while incarcerated. It is now a medium security prison with numerous programs for the 4,000 inmates, most of whom will be released at some point. It’s our responsibility as a nation to teach and provide positive rehabilitation programs while these inmates are behind bars, to ultimately reduce recidivism and allow for successful reintegration of prisoners back into society. The collective team at Through the Bars Foundation has been working inside California State Prisons since 1977. They have the means and know-how to get tasks completed. Having built relationships over 40+ years, they utilize networks of educators, artists, philanthropists and volunteers. We are positioned to overcome barriers within the prison system that may seem out of reach for persons and organizations that wish to help but are new to the maze of prison and government bureaucracies. We created Through the Bars Foundation in order to focus on support to programs that we know make a difference, creating educational content for inmates and focusing on restorative justice programs. We strive to make a difference for the individual that will in turn benefit the greater whole. We and the programs we support aim to educate and inform inmates on how to better themselves and reintegrate as a productive member of society, reducing the likelihood of returning to prison. Stopping bad habits and changing a combative mindset must become a desire of the individual. In this special two-part report, “Sunday Morning” senior contributor Ted Koppel goes inside San Quentin State Prison in California, to which inmates are now applying to get in, due to its innovative programs, from college courses to a prison newspaper and the wildly popular podcast, “Ear Hustle,” produced by the inmates themselves. “The Q,” as it’s known, is now providing hope – even to those sentenced 50 years to life – that there will be life beyond prison. Learn more about Ear Hustle. Showing that there can be a life after prison is an extremely useful tool that can convince detainees “on the fence,” that there is, and can be, more than “just this.” Through the Bars Foundation is currently assisting several San Quentin programs to ensure success and stable scalability. It’s our intention to help grow and build these programs initially at San Quentin, in order to replicate and initiate them in prisons throughout the nation. The Rock Band, performing one of their hits on the Lower Yard. The mission of the San Quentin Music & Performance Program intends to be a legitimate rehabilitative program that provides life skills training and character development through music and social cooperation. The Program makes a concerted effort to provide its membership a network of support in an organizational structure designed to enhance musical skills, artistic skills, and abilities of its members to encourage group morale, self-discipline, self-esteem and a realization of each members potential to be a productive citizen in a free society. *	Promotes happiness and self-esteem. 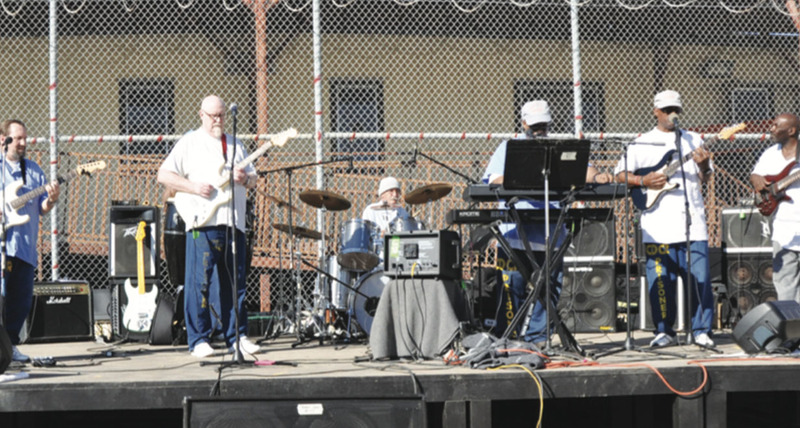 The performance aspect of the program offers participants the opportunity to contribute something positive in the institutional community, providing entertainment to San Quentin staff, institutional events and fellow inmates, and at the same time also demonstrates what the program is accomplishing. S.Q.U.I.R.E.S. 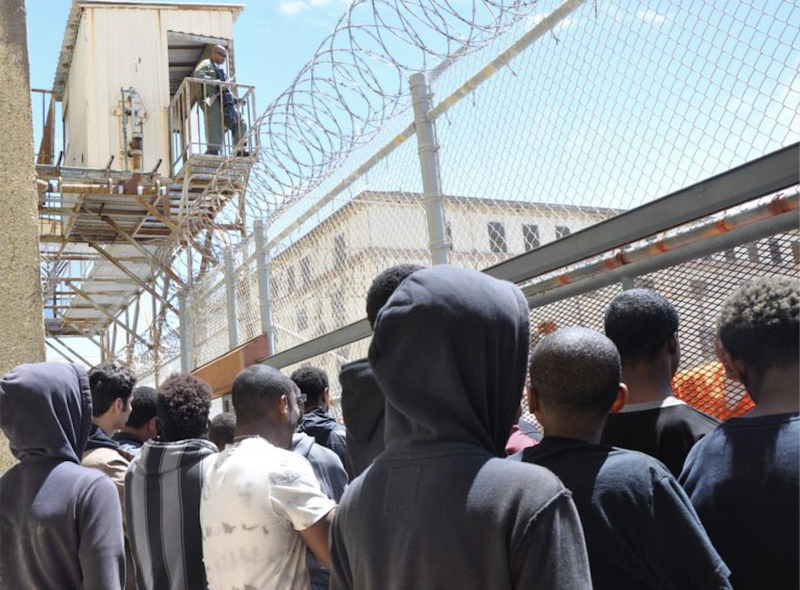 (San Quentin’s Utilization of Inmate Resources Experiences and Studies) is a youth mentoring program comprised of incarcerated men from diverse backgrounds who are enthusiastically engaged in developing meaningful change in the lives of youth. This Youth Diversion Program is uniquely designed for At-Risk Youth and has been in operation since 1964. The program is designed to establish communication, insight, awareness in at risk youths, and comprehension into the consequences of their poor choices. It is our hope that your agency will benefit from the S.Q.U.I.R.E.S. experience. S.Q.U.I.R.E.S. is dedicated to ensuring that our youth and young adults have a comprehensive understanding of their innate potential. The S.Q.U.I.R.E.S. program seeks to provide a skill set for the youth to develop the capacity for transforming experiences of trauma and oppression into opportunities for positive personal change. Our facilitators and counselors are survivors of traumatic life experiences, many of who faced victimization, oppression, dysfunctional family life, and criminal thinking. These men dedicate themselves to a higher standard in life, and live up to the fullest of their potential in order to be positive role models and examples of how criminal thinking and negative behavior can be transformed into a productive, happy life. Our message has a solid foundation based upon the maxim to COMMUNICATE RATHER THAN SCARE STRAIGHT. Exposing participants to a broader sense of reality assists them in developing critical thinking skills. S.Q.U.I.R.E.S. facilitators and counselors provide youth with strategies for confronting gang issues, drug use, family issues and community violence, impressing upon the young people the realities of adult life and the consequences resulting from even a single, irrevocable, life changing decision. We understand that many of our youth are out of touch with the adult and/or authority figures in their lives, yet, they will find that they will connect with our facilitators and counselors. The facilitators attend specific workshops and complete a peer counseling curriculum, designed to train the members in the following areas: knowledge of the effects of trauma and victimization, a deeper perspective of the reasons for criminal behavior, identify life experiences that contribute to misbehavior, develop means to connect with the youth, practicing genuineness, respect, empathy, and warmth. San Quentin News is an inmate-run newspaper. The state does not provide funding for the paper. Outside of reporting on development in the criminal justice system, the News is committed to social justice. Warden T. Duffy established the San Quentin News in 1940. It had a rich history of support from various prison administrations over the years. After a cessation of publishing that lasted about 20 years, the News was re-established in 2008 by Warden Robert Ayers Jr. 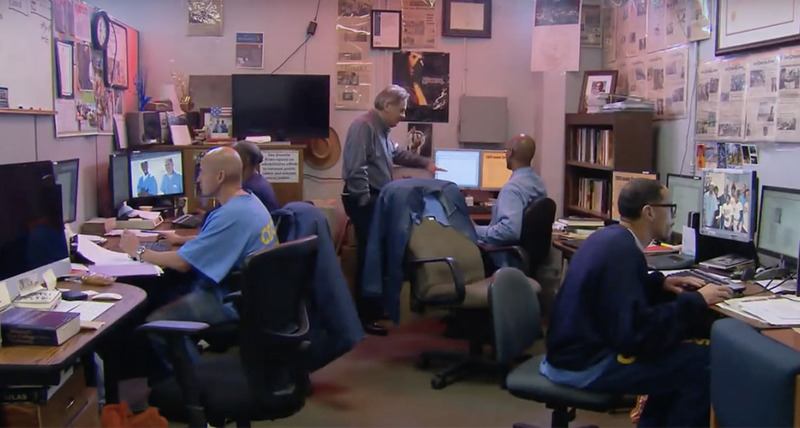 When it was revived, the newspaper was printed in the San Quentin State Prison print shop. But due to a state budget cut, that vocational trade was shut down. Because of that, the News had to seek outside funding to print and distribute its newspapers that are shipped to all state prisons and juvenile facilities in California, in addition to publishing its website. To survive, it relies solely on outside donations from individual and grant funding from foundations. Funding allows us to print and ship 30,000 newspapers each month. Unfortunately, there are over 119,000 inmates in the 35 California State Prisons. In 1851, California’s first prison opened; it was a 268-ton wooden ship named The Waban, anchored in upper San Francisco Bay and outfitted to hold 30 inmates. The inmates who were housed on the Waban constructed San Quentin, which “opened in 1852 with 68 inmates.” Black Bart, the notorious stagecoach bandit, did time in San Quentin. 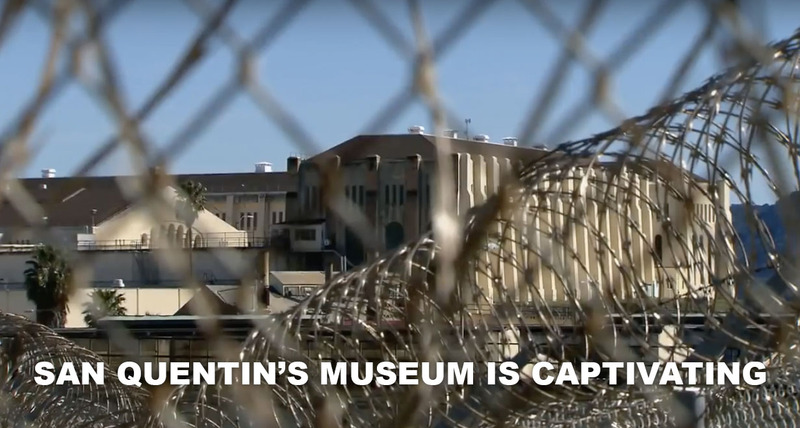 The San Quentin Museum preserves the history and artifacts, including narratives and photographs that more closely tell the “true story” of the prison’s 167-year history. “The real San Quentin Prison is known through the stories of people and human drama that have unfolded…” for over a century and a half. (Daniel Vasquez, Warden 1983 – 1994). The San Quentin Museum is open to the public on Tuesdays and Thursdays from 10 AM to 3 PM (415-454-1460 x 5803). The museum building is on several levels. You can park your car at the visitor parking lot down to the left just before the Front Gate. You will just need a Drivers License and your car keys. Please no phones. The museum is the third structure on the right.